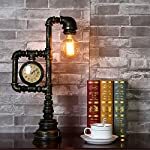 The vintage light bulbs have a fantastic look and are like an enormous piece of jewelry. 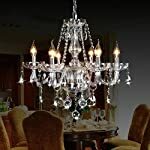 It can turn the ordinary room into a head turner. 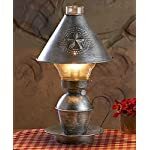 So, whether your palate rests toward vintage outdoor lights string, vintage floor lamp, or vintage table lamps, antique fixtures can infuse the place with period flavor. 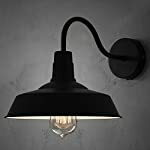 However, with so many light bulb fixtures available in the market today that has these vintage bulbs, it can be overwhelming finding the right bulb. 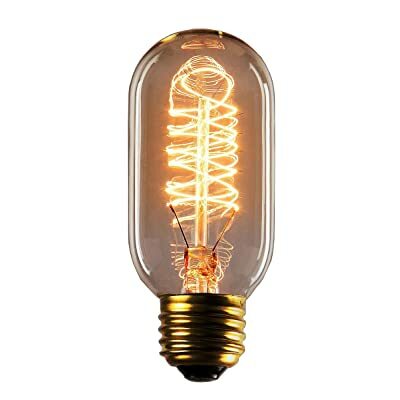 Edison light bulbs come in so many different filament design, sizes, shapes, amber glass or even clear glass. But some of us make the fundamental mistake of falling for the looks first without a second consideration toward functionality. This results in frustration. 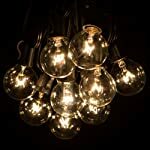 In this buying guide, we will help you shop for the vintage light bulbs with both your head and your heart. 1. What is the purpose or where do you want to use them? Don't buy a vintage light bulb until you read this. Well, you have come to the right place. This buying guide will discuss how you can choose the best vintage light bulbs. 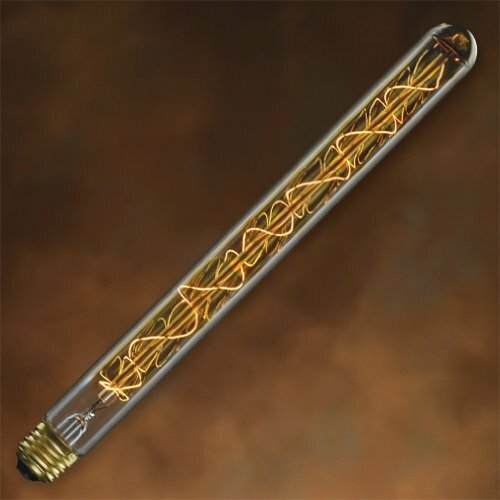 The edison light bulb has an aesthetic function. Hence it is all up to you wherever you want to use them. 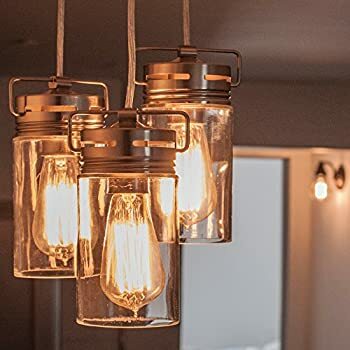 These light bulbs are very popular in bars, cafes, restaurants, hotels, homes, living rooms, dining room, kitchen, or anywhere else you need a vintage look. 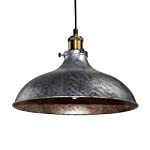 They are so attractive when you see them hanging in pendant light fixtures over the islands. 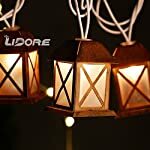 Are you looking for vintage barn lights or vintage outdoor lights string? This is the kind of questions that will help you decide on the right vintage light bulbs that meet your needs. Glass envelopes for the vintage light bulbs usually come in different finishes such smoke or clear. So, what does smoke mean? Well, old style light bulbs with smoke envelope(s) have a slightly darkened finish which develops a look that lots of people love. And not just due to its more authentic look. When it comes to ordering antique light bulbs, you have more choices than ever with the increment of energy dynamic lighting possibilities. The LED lights need much less wattage than the CFL and incandescent light bulbs, hence LED light bulbs are long-lasting and more energy efficient than the other two kinds of bulbs. LED light bulbs have an astounding lifespan of around 25,000 hours, unlike CFL bulbs which only offers an average life expectancy of 8,000 hours. The incandescent light bulbs have an average life expectancy of around 1,200 hours. Well, the light color is measured on the Kelvin (K) temperature scale. The higher Kelvin numbers mean bluer or whiter light while lower kelvin number means more yellow light. 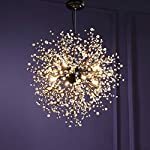 You will find lights bulbs made with warm white 2500K to 3000K color temperature to provide a vintage look perfect for the bedroom, dens, or living rooms. While others have a bright white or cool white 3500K to 4100K color temperature ideal for workspaces, bathrooms, and kitchen. 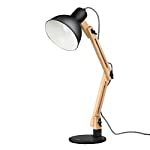 Other light bulbs have daylight 5000K to 6500K color temperatures perfect for reading. The edison light bulb comes in different varieties of bases. 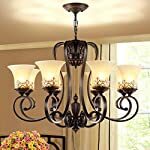 The most popular stations are candelabra base and medium base (and are the most common light bulb base in residential lighting). 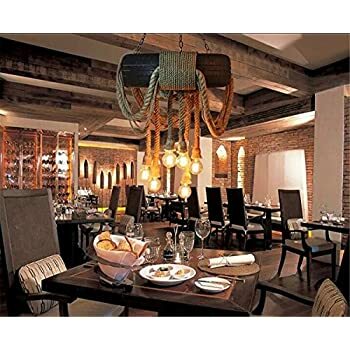 The candelabra base lamps are mostly used in wall sconces, pendants, ceiling fans, while medium base lamps are primarily used in pot lights, table lamps, pendant lamps, and other lighting fixtures. 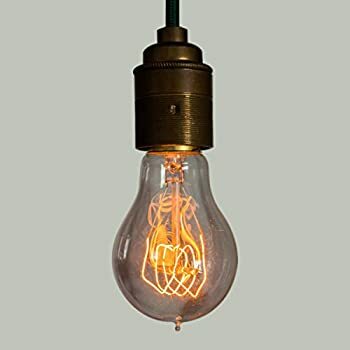 The easiest thing to do if you want to replace the light bulb with a vintage one is to bring your original bulb with you to the store to be confident that you are buying the right one. While you are there, check out the various energy saving as well as stylish choices which are available. Lumen is the amount of light emitted from a light bulb. Hence, if the light bulb has more lumens, expect a brighter light and if it has fewer lumens, expect a dimmer light. 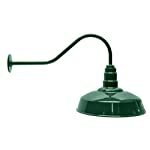 Standard 100 watts bulbs yields around 1600 lumens. Also, you should consider the wattage. Watts (wattage) is the amount of energy the light bulb uses. When the wattage is lower, expect the electric bill to be lower. The remarkable thing about the edison light bulb is its filament. You can find it to be the best thrilling part of a light bulb. 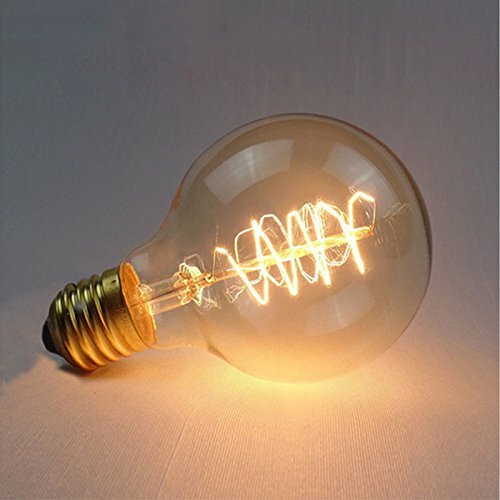 When shopping for a light bulb, you will realize that there are different varieties of filaments styles. Some of the filament styles you will come across are squirrel, spiral, hairpin, thread, quad-looped, and diamond. 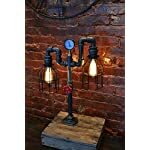 Picking the kind of filament your need for your antique lighting expression is a matter of your taste. 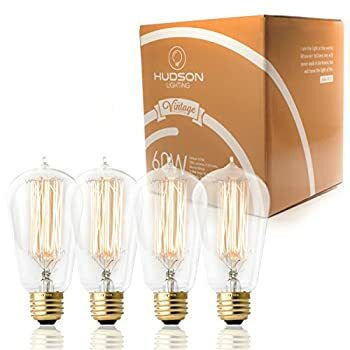 If you are looking for an edison light bulb that will enhance the look and feel of any room in your house or business, this Hudson lighting vintage edison bulb is an excellent choice. 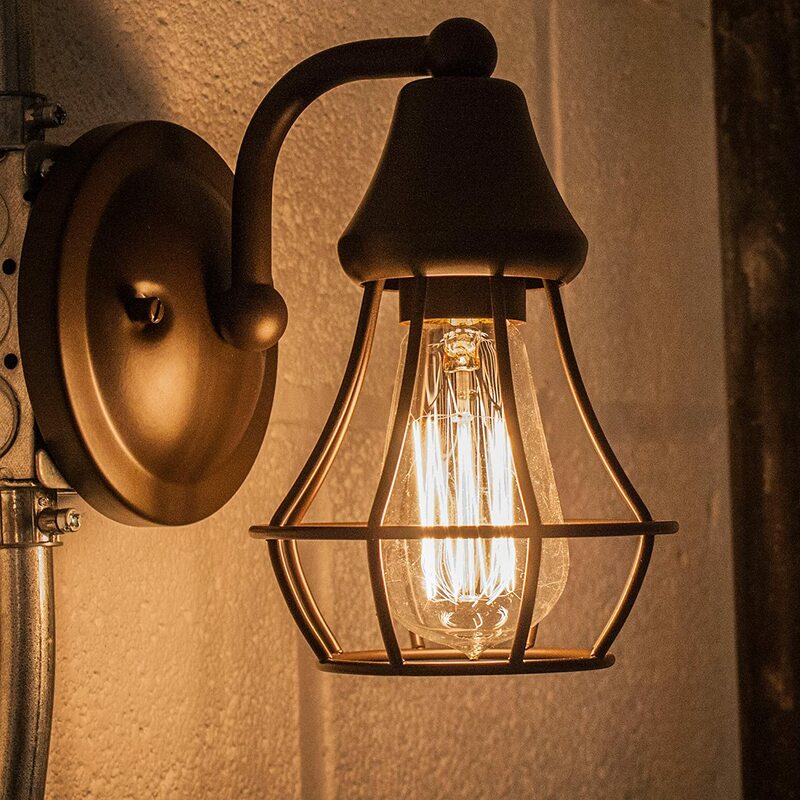 This light bulb is inspired by the 1900s vintage light bulb style that adds a warm glow to any vintage or contemporary décor. 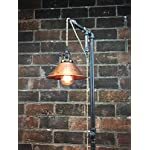 This edison light bulb is fully dimmable enabling you to create the perfect balance of the vintage light. 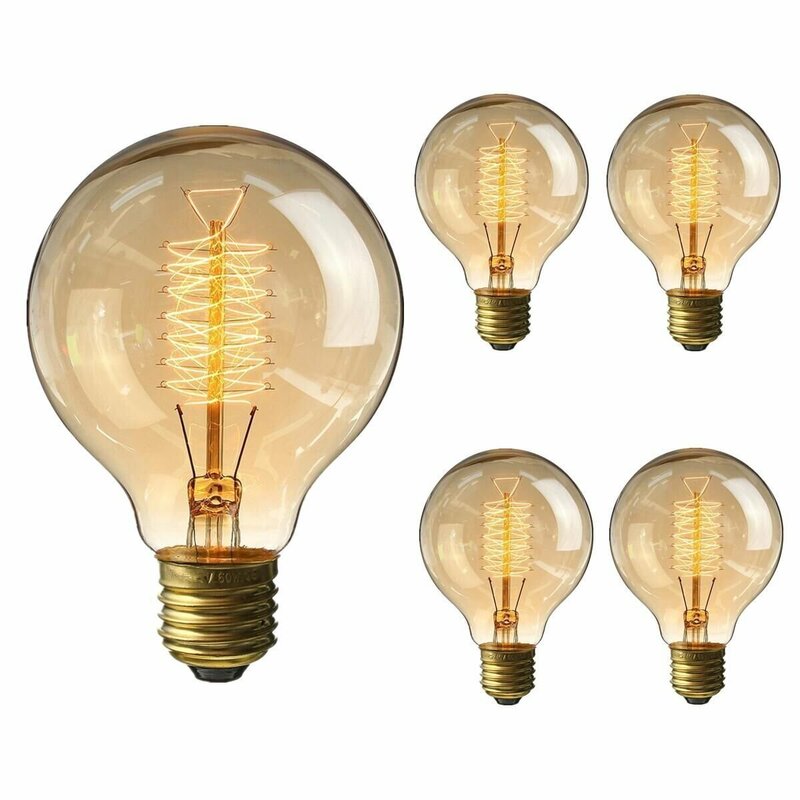 These old style light bulbs are built with an attractive squirrel cage filament design. 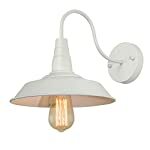 You can use this edison light bulb to add a classical touch to any room, thanks to its teardrop top. 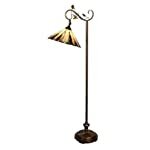 These produce a warm amber glow that will bring any room to your house or business to life. 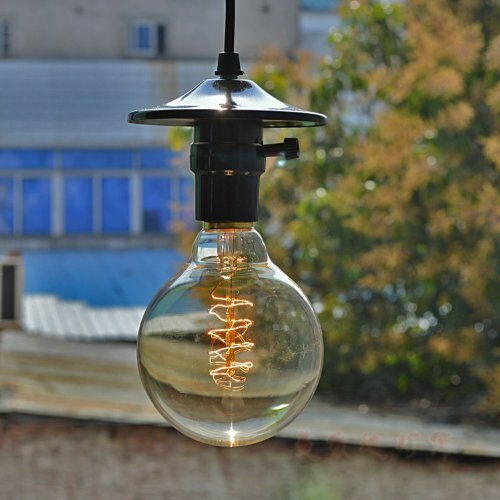 These vintage light bulbs are made from high-quality materials and are built to last for up to 3,000 hours. Also, these vintage light bulbs come with 230 lumens for optimum brightness and draw around 60 watts. 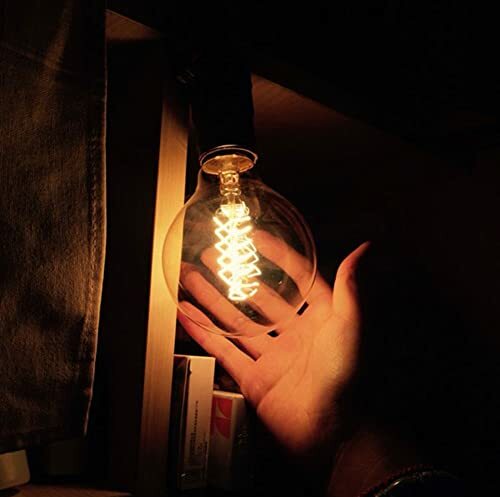 The color temperature of this edison light bulb is warm. Very stunning and at a remarkable price. The bulbs provide a good amount of light. The lifespan of these bulbs is not that great. The bulb blows quickly. These vintage light bulbs have an excellent lifespan of around 30,000 hours meaning that they last for long without blowing. 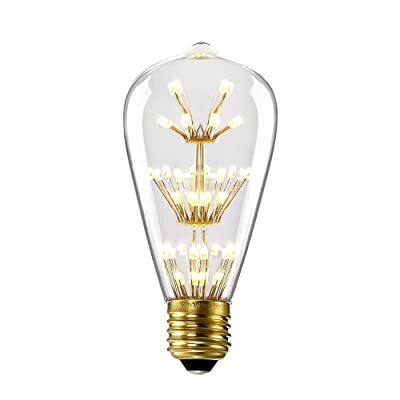 This antique edison LED bulb produces a warm white color temperature and a beautiful firework light that will bring any room in your residence or business back to life. 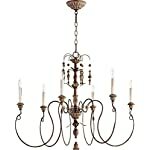 The vintage light bulbs create a romantic atmosphere thanks to its unique lead beads source designed and brass base with a glass shade. This edison light bulb is not dimmable and has a soft light perfect for retro light fixtures, Christmas decoration, wall sconces, chandeliers, home decoration, festival, and pendant lighting. 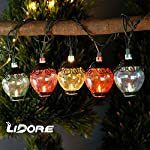 It looks like some branches of the tree when you look inside the bulbs, and there are numerous small LEDS perfect for decoration and decoration. 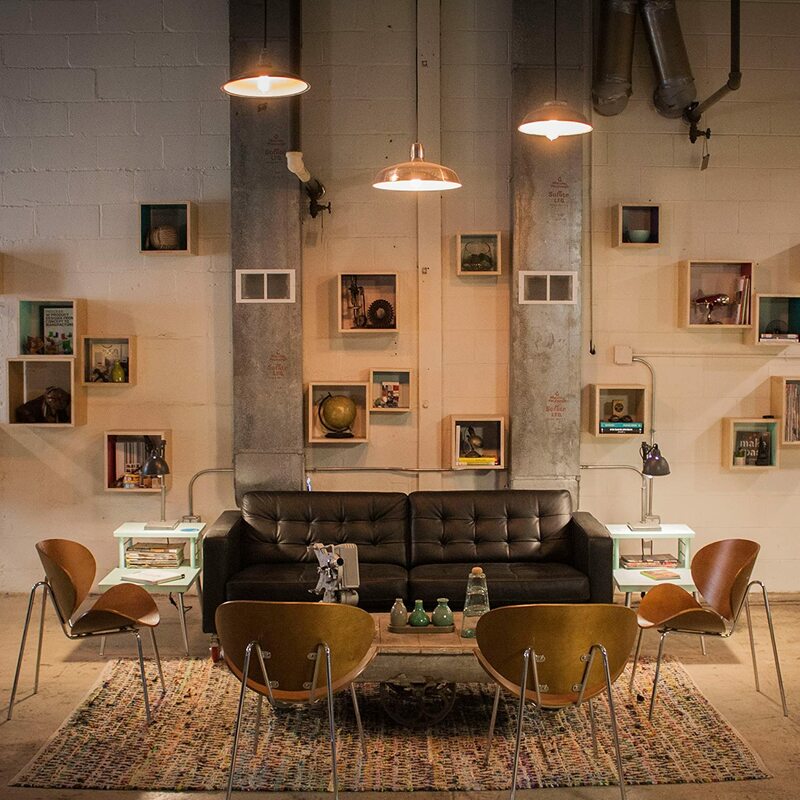 These vintage lights bulbs come with 120 lumens and draw only 3 watts. The light bulbs have a nostalgic reproduction and clear glass shade. It has a wonderful soft light. The bulb is too bright. 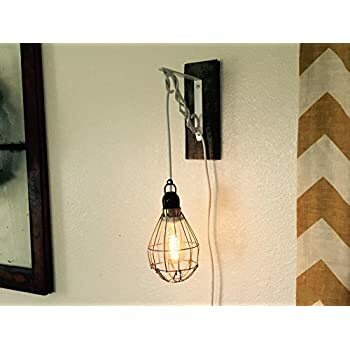 If you are looking for edison light bulb that will add a timeless charm to your home, then this standard squirrel cage edison light bulb is an excellent choice. 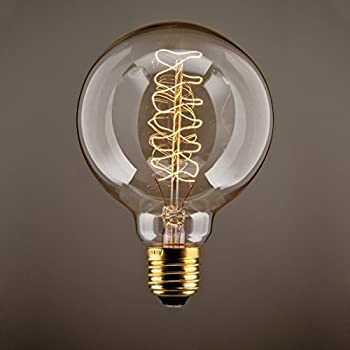 This light bulb was inspired by the Thomas Edison lights styles and features an alluring vintage squirrel cage filament design which makes it more adaptable than a standard Type A Bulb. 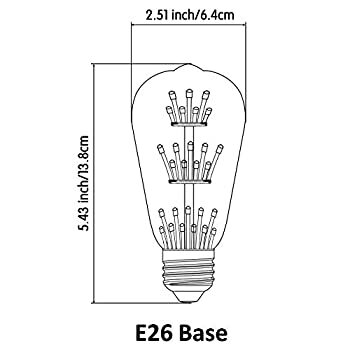 This bulb fits E26 and E27 screw base perfect for standard home lighting sockets, pendant light fixtures, lamps, vintage outdoor lights string, chandeliers, and wall sconces that use E26. E27 sockets. 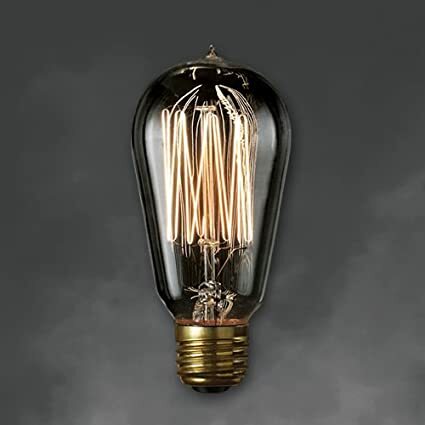 This dimmable clear glass antique edison bulb features a lifespan of 3,000 hours and draws around 25 watts. This light bulb provides a soft yellow light and has 65 lumens for high-quality light. 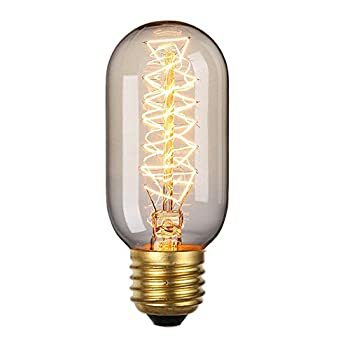 This edison light bulb has one year 100% satisfaction guarantee; means that you can contact the manufacturer if the bulb is damaged or broken. They have fascinating spiral filament shape. The bulbs are too small. 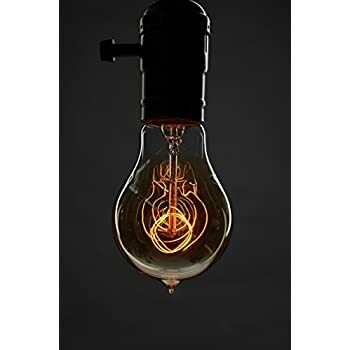 This edison light bulb has an authentic vintage style complete with a lovely tapered bulb design, a squirrel cage filament, and warm dimmable light which delivers an inviting glow to any room in your house or business. 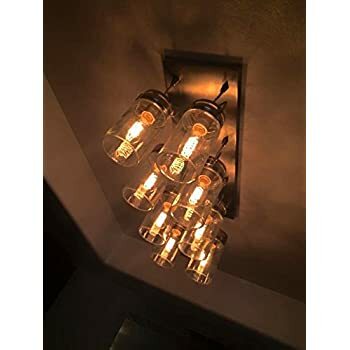 This dimmable bright glass antique edison bulbs deliver a much more brilliant and favorable light and can also be dimmed using a dimmer switch. These 60 watts incandescent bulbs has a lifespan of around 3,000 hours, and with the 250 lumens, the bulb provides a warm glow that brings your house back to life. These vintage light bulbs are perfect for living room , bedroom , coffee shop , bar , restaurant , hotel , pendant lighting , wall sconce , and any place you decide to use them. 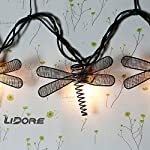 These light bulbs come with a one year 100% satisfaction guarantee hence you do not have to worry about getting the damaged or broken edison light bulb. 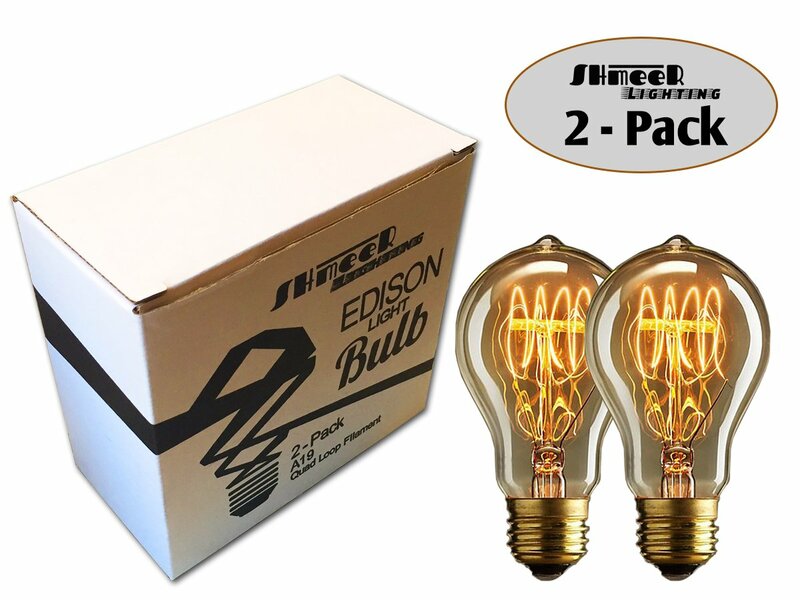 Unlike other edison light bulbs, this bulb comes in a unique packaging design with shatterproof function in case something ever goes wrong. They provide a warm color temperature. These retro light bulbs feature an amber finishing with a quad loop filaments design providing a rustic and authentic feel in your room. 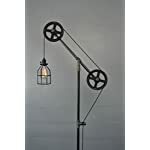 Perfect for ambient bedroom lighting, exposed fixtures, and outdoor fixtures. 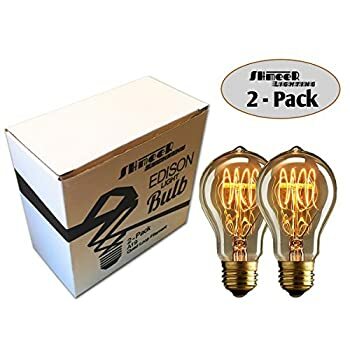 These light bulbs come with a one year 100% satisfaction guarantee hence you do not have to worry about getting the damaged or broken edison light bulb. These dimmable light bulbs feature a 3,000 hours average lifespan and draw around 40 watts. The light bulbs feature 120 lumens provides a very warm light for a comfortable atmosphere in your home. Very stunning and works great. The bulbs provides a good amount of light. Which edison light bulb should you choose? Well, the best vintage light bulbs we would recommend is 4 pack- 60 watts Vintage Edison Bulb- Squirrel Cage Filament- 12 volts- Dimmable- 230 lumens- E26- ST 58 Teardrop Top. 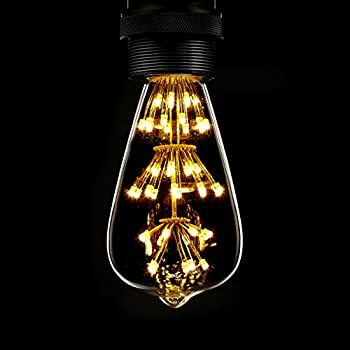 This edison light bulb is fully dimmable enabling you to create the flawless balance of the vintage light and has a good-looking squirrel cage filament design. 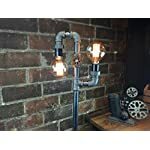 These retro light bulbs are made from high quality materials and are built to last for up to 3,000 hours. In addition, these vintage light bulbs comes with a 230 lumens for optimum brightness and draws around 60 watts.